If you are looking for a classy get-a-way for yourself or for a group, your search can come to an end. 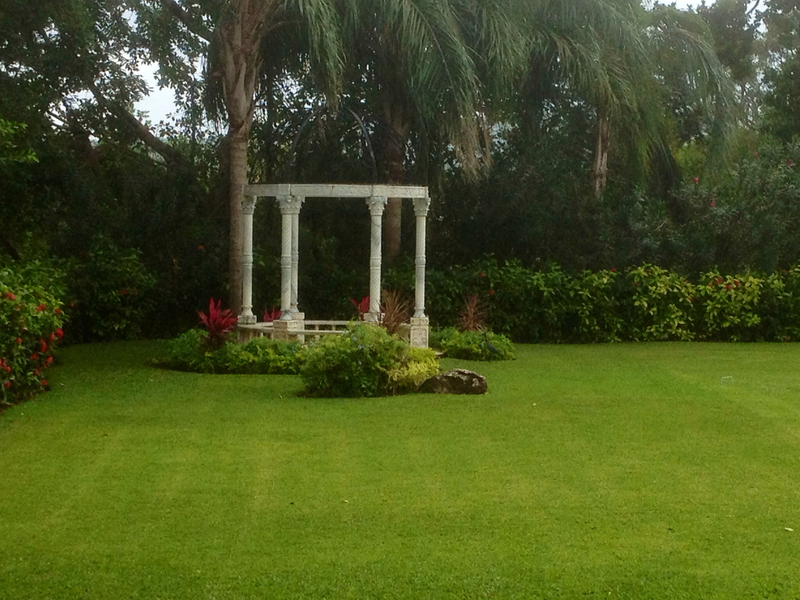 When I visit properties, I look for the WOW factor. Sandals Royal Plantation has the WOW factor from the moment you step on the property. 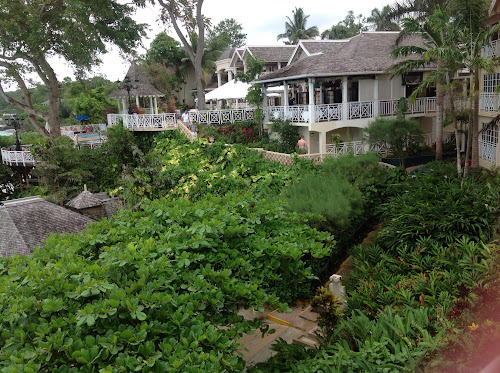 Sandals Royal Plantation is an all-butler boutique resort. Butlers are expertly trained by the Guild of Professional English Butlers so they are ready to fulfill any request you can dream. There's more to do than lounge by the sea blue, aquatic paradise. For the more active person, you might enjoy kayaking, windsurfing, sailing, snorkeling, glass-bottom boat rides, scuba diving, or sailing a Hobie Cat. The fun doesn't stop on the water. Tennis, chess, volleyball, and Bocce Ball are just some of the land sports. Golf Digest and Frommer's Travel Guide have named this Par 71, 18-hole Sandals' Golf course among Jamaica's best courses. There is plenty to do on this resort from water sports, to land sports, to dining in 4 distinctive restaurants. This resorts is right next door to the Grand Riveria (see Sandals Ocho Rio, Jamaica Part I). How does that benefit you? 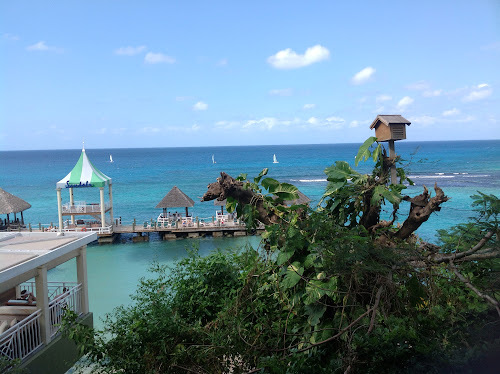 As a Royal Planation guest, you are able to visit and take part in activities at Grand Riveria (including their 16 restaurants...dining at The Reef is a must. 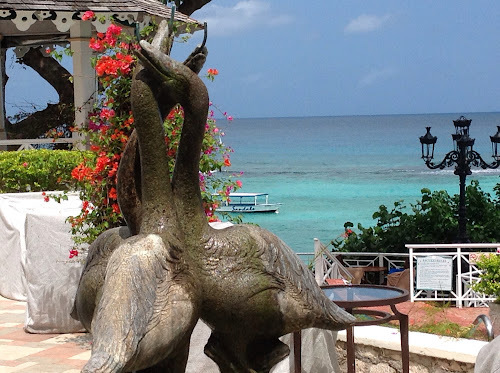 See previous blog http://www.mountdoratravel.blogspot.com/2013/03/sandals-ocho-rios-jamaica-part-i.html). This is 1 of the 74 exquisite suites. It was very roomy and had a beautiful view of the Caribbean and the resort. The bathroom has a tub and tiled shower. Plenty of room to move around in this room. This is the Royal Great House Oceanfront Suite, one of the smaller sized rooms at 465 sq ft.
One of my favorite accommodations on this property is the Villa Plantana. 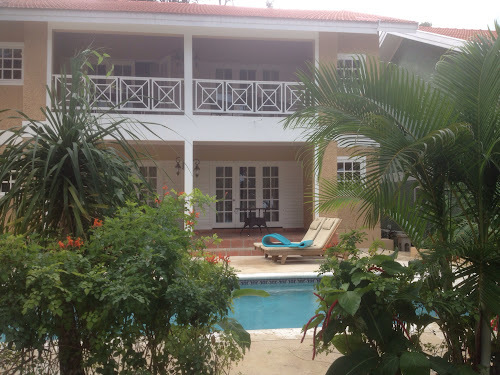 The Villa Plantana is has 3 bedrooms with 3 bathrooms, a private pool, its own butler, private room attendant and chef. This would be a great accommodation for guests needing 3 rooms. For additional information on this property or any other resorts, please get in touch with you. 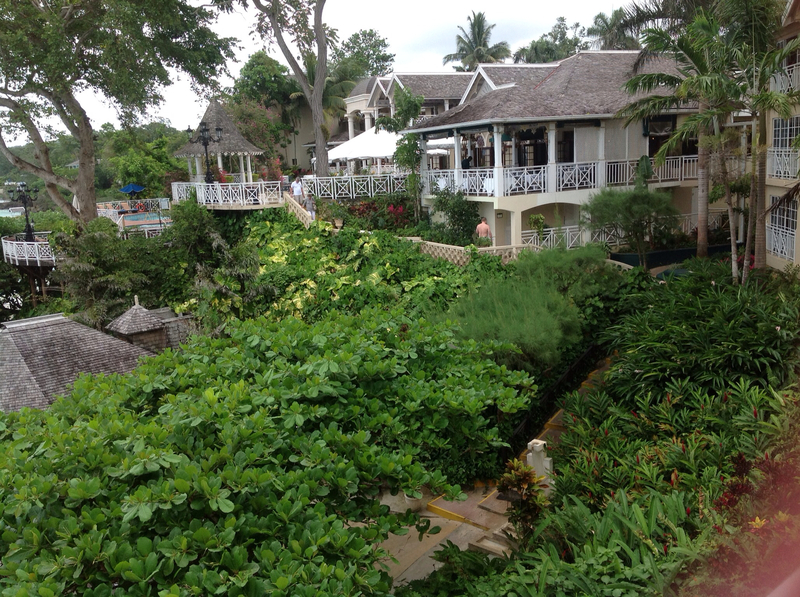 If you plan on vacationing in Ocho Rios, Jamaica, keep reading for some insight into the Sandals, Grand Riveria. This property is located approximately 1 hour and 45 minutes away from the Sangster International Airport, in Montego Bay. March is a great time of year to visit Jamaica. The weather is perfect with a low in the 70's and a high in the 80's. Flights are relatively less expensive during this time. On this property, there are two sections: The Great Manor and Riveria Seaside. The Great Manor offers all-butler villas with private pools. This is a very hilly property. Golf carts are available to transport guests from their villas to the main lobby. If you stay on this side, you will need to take a shuttle bus over to the ocean side. The shuttle ride isn't far. In fact, the two sections are right across the street from each other and well within walking distance, but the shuttle service is convenient. While the butler service gives guests that extra special treatment, several people I spoke to wished they were on the ocean side. Riviera Seaside is the property directly on the water. This is where the water sports are including sailing, kayaking, snorkeling, wind surfing, paddle boarding, etc. If guests are interested in becoming a certified PADI scuba diver, there is a pool designated for scuba training. 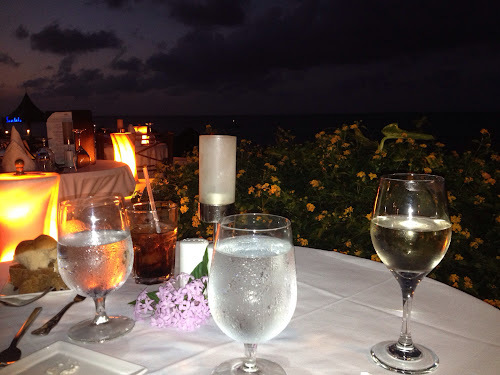 Sandals Grand Riviera Beach and Village Golf Resort has a choice of 16 dining options. I wasn't able to try all of them, but my favorite was The Reef Terrace. 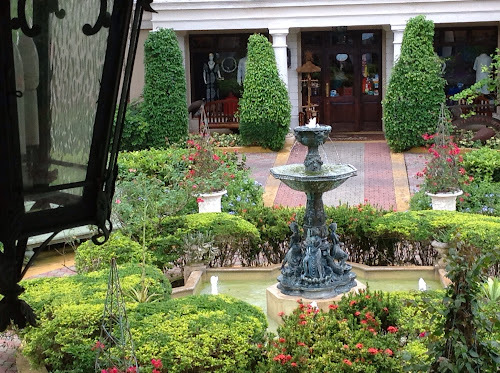 This courtyard outdoor dining experience was awesome and romantic. Dining at The Reef Terrace is a must. 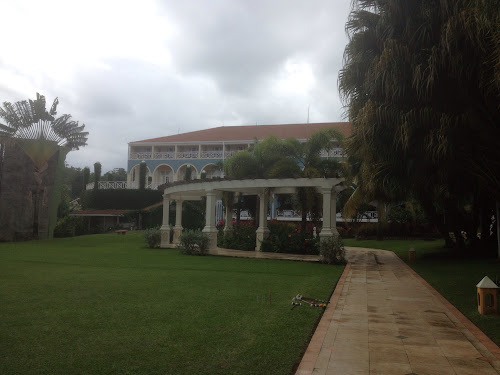 1) The Grand Riveria resort is hilly and requires walking. Females should bring flats and leave the heels at home. Also, the sidewalks can be slippery when wet. 2) The dress code for most of the restaurants is resort casual. Valentino's and Kimonos require evening attire, which means dress pants for the men, closed toe shoes, and a button-up collared shirt. They will turn guests away if proper attire is not worn. These two restaurants require reservations. 3) Kelly's Dockside is dining on the pier. This is only available for guests with butler service. 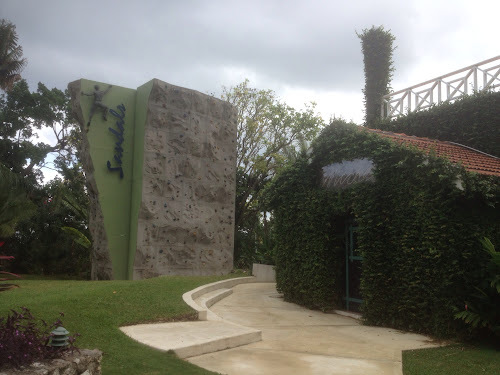 4) Sandals Grande Riviera has a no tipping policy except for butlers and spa therapists. 5) Have dinner early so you don't miss the evening events. and shoes may be rented. Food and beverages consumed at the club are not included. 7) At the time of this writing, there is a charge of $15 a day for WiFi. Concierge and butler accommodations are not charged for WiFi. 8) If you want to be near the beach, be sure you stay on the seaside. 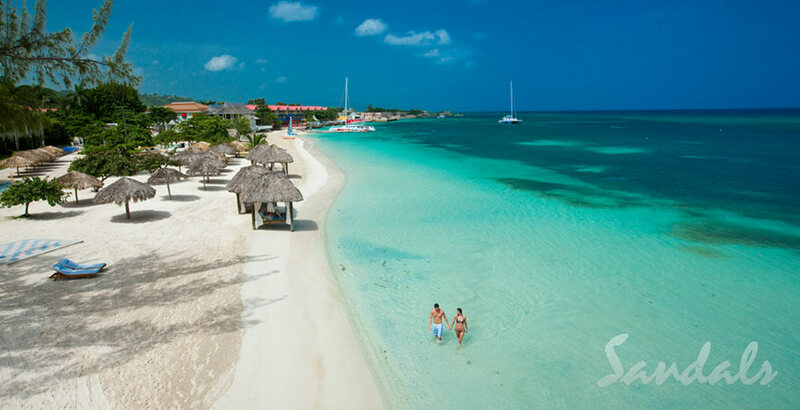 For additional information on this resort or any other Sandals and/or Beaches resorts, please feel free to connect with me. If you've stayed at this resort, what tips do you have to share? Do you ever have one of those times when you start out to do something and a situation arises which leads you down a different path? That happened to me this morning. After a hearty breakfast of a made-to-order omelette, fresh fruit (pineapple, kiwi, honeydew), and hot green tea, I decided to go for a run. The Sandals Grand Riveria isn't the best place to run outside because there isn't really a running path, so I headed to the gym. When I arrived at the gym, the treadmills weren't working and neither was the television. After a call to the front desk, I was informed there was an electrical problem and it should be fixed in an hour. Not wanting to delay my run, I took the Jamaican attitude said "No problem," and headed across the street to the Riveria Butler Villas and Great House. Here are some pics from my 2.6 mile morning run. Rock climbing wall and Nicole's. These butler villas have their own private pool. If you are booking 4 rooms, I suggest staying in one of these villas that way your whole party has the entire villa to yourself. How fun is that? I'm glad the electricity was not working this morning. I was able to get out and enjoy Jamaica. Running the Sandals Grand Riveria, in Ocho Rio is a little bit different from running the Disney Princess 1/2 marathon, but it's a great way to see the property. Get in touch with me for more information on this property or any other Sandals or Beaches all-inclusive resorts. 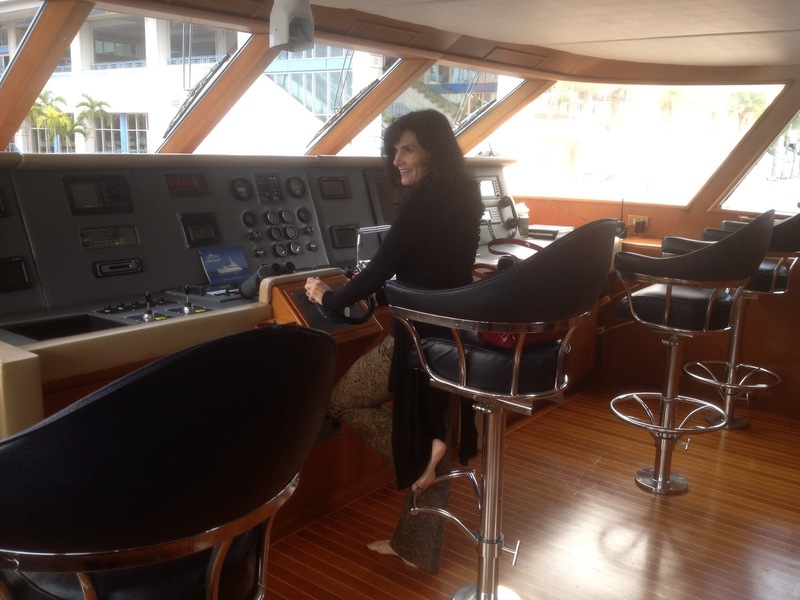 On Friday, I had the opportunity to have lunch aboard Lady Sandals, Mr. Butch Stewart's (owner of Beaches and Sandals) private yacht. While on board I learned of some great specials that I have share with you. 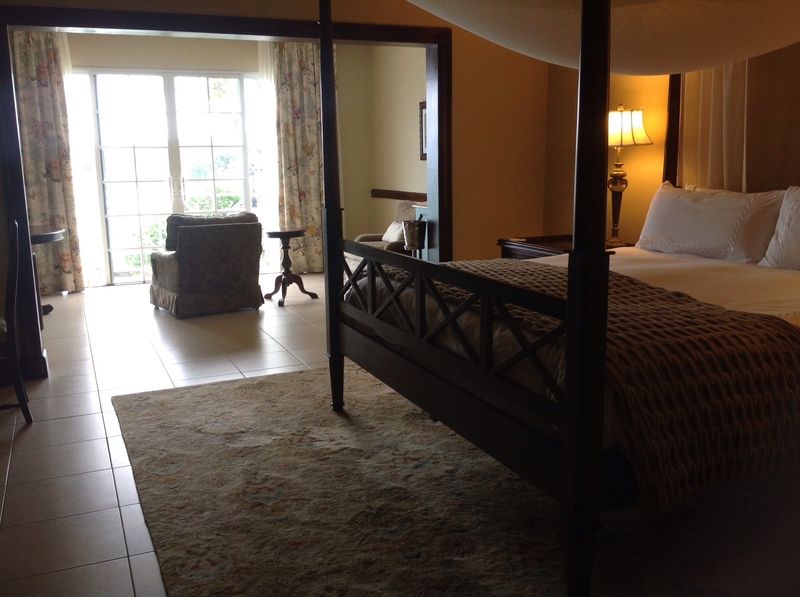 Typically with Sandals and Beaches resorts, if you book 10 rooms you get 1 room free. For a limited time offer if you book 5 rooms, you get 1 free. Need a place to hold your next family reunion, special event, or business meeting? 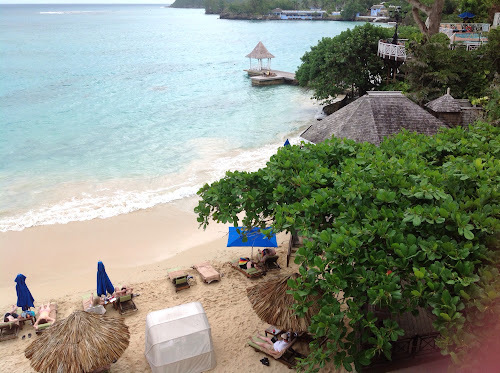 Why wouldn't you book a Sandals or Beaches (family friendly) resort? Did you know Sandals all inclusive resorts could save you money? Get in touch with me today for that family reunion, incentive travel, social club, destination wedding, or family and friends trip. Click Here for the flyer that explains the promotion!